Earlier this week, I took a little trip to Bristol to have a look around the Bristol Beer Factory. As is now the tradition, we began our train journey with a lovely coffee, this time courtesy of Sweedish brewers Nils Oscar. 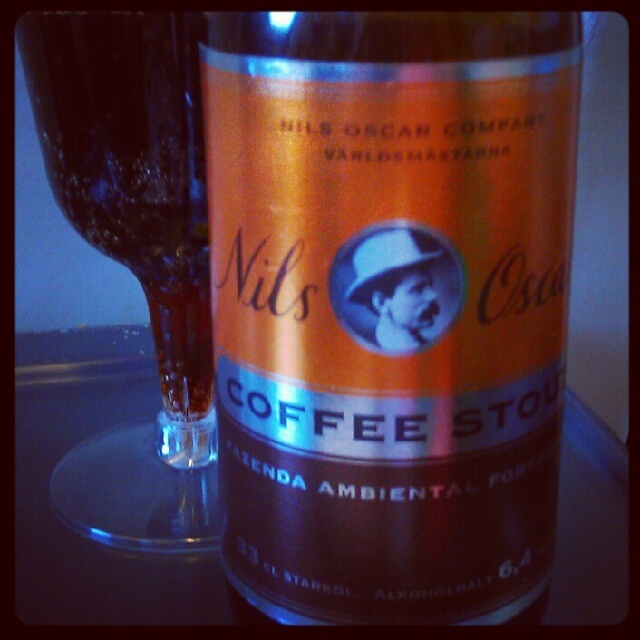 Opening their Coffee Stout (6%ABV), I knew it was the right decision for a morning wake-up drink from the aroma of strong espresso with a hint of malt. Like anything poured into rubbish plastic glasses, it bubbled enthusiastically which made it look more carbonated than it was. Holding it to the light it was slightly thin in appearance and a cloudy black-brown, but the flavour was a lot more impressive. As a coffee enthusiast, I have done bad things with coffee in the name of experimentation. Ever wondered whether iced black coffee carbonated through a soda stream would be any good? Don’t – it’s just bitter weirdness. Black coffee freeze-pops? Not a good idea when all the flavour seems to gravitate to the center. Save your effort and try this Coffee Stout instead; somehow it brings back all the best bits of those intense coffee flavours through rose-tinted glasses. Big on immense bitter coffee with a touch of red berry and slight sourness to balance. A nice little morning cuppa. 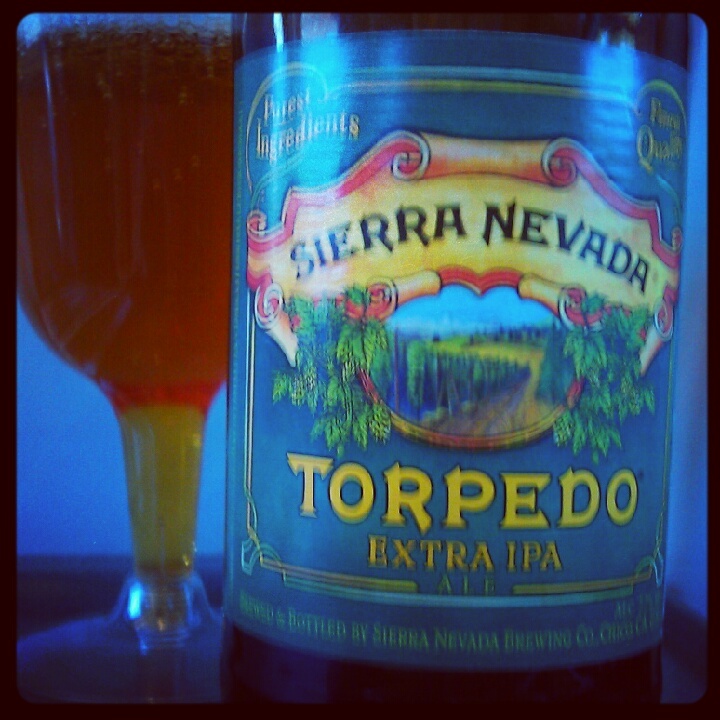 Moving on, the next ‘sharpener’ for the morning was a Sierra Nevada Torpedo Extra IPA (7.2%ABV) and why not on a sunny day off from work! I can be a little daft sometimes and rarely look properly at supermarket beers, dismissing them as dull as something I have had before and have no further interest in. Wrong and foolishly ignorant. I almost missed this one as Sierra Nevada is so widely available I rarely give it a second glance. My OH had to point this one out, despite the bright and summery green and yellow label. It’s from all the way over in California where they probably know a thing or two about sunshine beer and they seem to have poured a few rays into this joyful golden IPA which shimmers with lively bubbles and a tiny amount of froth. The hop aroma was herbal, reminiscent of the forest in the rain and the flavour was a lucious bitter herbal and citrus bouquet, a little like a beer version of Riccola sweets. The end was long and dry with a waft of pineapple. A perfect refreshment to set us up for the day in Bristol!